I felt for one of my favorite politicians this week as he got caught up in the spin cycle that begins when you speak "off script". 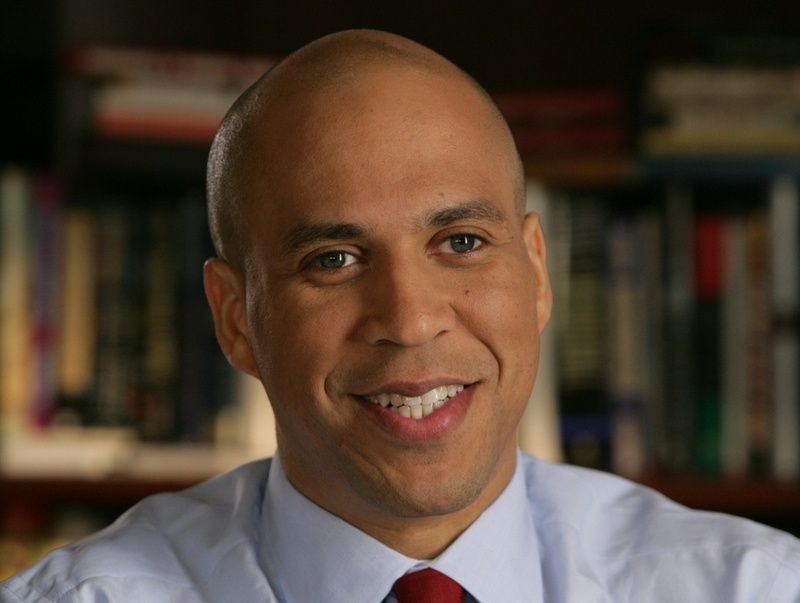 I have followed Cory Booker since one of my frat brothers worked on his first mayoral campaign. Since becoming mayor of Newark (aka Brick City) in 2006, he has easily become one of America's most recognizable mayors for his insight and community activism, but this week that rep took a hit as had to do some moonwalking after sharing some thoughts on the 2012 campaign. As I watched the fallout from his Meet the Press appearance, it reminded me why I could never be a professional politician. Politics as currently constituted wouldn't work for me because you are beholden to cash interests above all else at the end of the day. The ability to speak what you truly feel is right is limited by how it will impact those who spend the most money to keep you in office. For all the goodwill Mayor Booker has built up as he tweets tirelessly about getting trash picked up, snow shoveled, and crime under control, he found himself the focus of news shows this week for daring to express his disdain for the hyper-partisan nature of politics today. His commentary went against the game plan of Team Obama 2012, and in the rules of the politics game in order to keep riding the escalator up to the top of the Democratic party, you gotta fall on line like a good soldier. This is especially true in an election year, and it doesn't matter that much if what the Mayor had to say made sense if you view it from his frame of reference. If you are Cory Booker, your job is to continue to raise the profile of Brick City, and find jobs to replace the manufacturing positions that used to be the hub of the City's economy. Major insurance companies like Prudential have been headquartered in The Bricks forever, but insurance companies and tech companies like Panasonic (opening up in 2013) often require employees with advanced degrees, which in Newark is only a small portion of the population. According to the 2000 Census, Newark had the lowest educational attainment numbers of any city, and one in four children lived in a household with no working parents. If you are Cory Booker, and you know that this is the profile of your city, of course you would be open to solutions that would help bring jobs and fortify pensions much like he has leaned heavily on charters to help raise school test score numbers. Not saying that I agree, but I can understand. So when you understand the economics of Newark, and you remember that Cory Booker was most recently a trending Twitter topic for being a super neighbor, rescuing one of his from a fire, of course he thought he could speak his mind, but alas he quickly found that that wasn't the case. "As far as that stuff [Bain critique], I have to just say from a very personal level, I'm not about to sit here and indict private equity. To me, it's just this--we're getting to a ridiculous point in America, especially that I know. I live in a state where pension funds, unions and other people are investing in companies like Bain Capital. If you look at the totality of Bain Capital's record, it ain't--they've done a lot to support businesses, to grow businesses, And this, to me, I'm very uncomfortable with." I have no problem with any of that because as the Mayor mentions, he was speaking from a point of view of what has been good for his city and state, which is his main concern. But ultimately that sentence about "looking at the totality of Bain's record" could not stand because it was made at the same time that Team Obama was releasing attack ads painting Bain as the job killer. So Cory Booker had to go on his Ustream and "clarify" in a manner that sounded much more like the talking points that the President's campaign workers want out in the media. If you wonder why one of the most recognizable Mayors in America would do this given how much cache he has built, you just have to remember that he is a self-described Obama surrogate. He wants to keep playing the political game when his time as Mayor is done, and being able to call on the Obamas (as well as the cultural and financial capital they inspire) when he needs them will always be a good "chip" to have in his back pocket. I would have a hard time swallowing what I was truly feeling just to keep donors and cronies scratching my back while I'm trying to advocate for the people in my care, so worry not about me ever contacting you for donations for a political campaign run. The game is rigged. As a teen I used to get my haircut right across the street from my house at Ms. J's barbershop. I often listened as the men and ladies would come in and have various conversations with the barbers while in the chair. As I got older I would occasionally try to participate in these discussions, however it would become apparent to me that I still had some reading to do as the complexity of the conversation would quickly grow beyond my adolescent understanding. 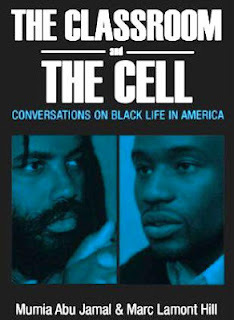 As I completed The Classroom And The Cell: Conversations on Black Life in America by Mumia Abu-Jamal and Marc Lamont Hill, I was reminded of these barbershop moments partly because of the format of the book, and also because Professor Hill's brother Leonard was often a prominent participant on those weekend afternoons as I waited to get my haircut. As a grown adult, with a bit more reading under my belt, I found the topics which the authors discussed to be pertinent and their insights fresh. The book embodies the type of intergenerational dialogue between Black men which is sorely lacking in our community particularly as you consider recent and ongoing events. This week news came out that thirteen students at Florida A&M University (FAMU) would be charged with the death of "Marching 100" drum major Robert Champion. The 26-yr old was beaten during a band hazing ritual, and ultimately passed due to shock and severe internal bleeding from repeated blunt force trauma. As I read the Abu-Jamal/Hill text, I was saddened by the literal Classroom and Cell circumstance that these students now face in the name of upholding a "tradition" that was never intended to include this level of violence. The words of Abu-Jamal and Hill were particularly piercing as they discussed Black masculinity and the "performances" that it entails. Hill in particular noted the troublesome connection between a detachment from emotion, which many Black men are taught to have, and the normalizing effect it has on our views of violence. When you add to that a particularly strong brand of homophobia that exists within many Black communities, you have the recipe for how a young man's life could be ended on a charter bus outside a football game. I have seen the same escalation in violence among many of the Historically Black Greek Letter Organizations (HBGLOs), and it is particularly troubling because none of these organizations was founded upon principles of self-destruction. In fact, all of the fraternities, sororities and their surrogates were created upon ideals of uplift and community service. The FAMU case is just one example of how the conversations that Abu-Jamal and Hill were having play out in the larger world. This is a key reason that this work is so important, and can serve as a catalyst for continued examination of key issues within Black communities across the nation so that healing strategies may be developed. My reading of this text comes at a key juncture in my life where I have a rare moment to really reflect on who I am, and how I want to continue to develop. One of my main theoretical undertakings during my doctoral studies was the issue of racial identity, how it continually morphs, and how the development process is fluid. In this rare reflection moment, I face questions of how to parent, how to structure my career in a way that fits my marriage, how to use my accrued cultural capital to address gross inequities that exist in our society, and how to continue taking what I understand from a life that is centrally Black and male to foster meaningful personal relationships that are built on a shared humanity, one that transcends race, ethnicity, class, gender, and other labels. 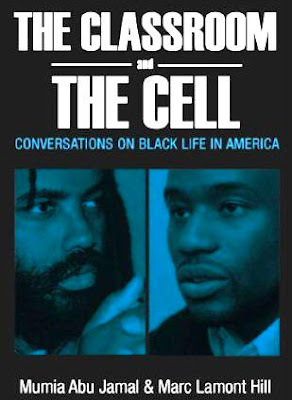 This book was instructive because in Abu-Jamal you have a cultural and historical "oldhead" who can speak to issues of Revolutionary Black Leadership, Black Politics, and the Prison Industrial Complex in a very real, un-romanticized way so that the portrait in your mind is less abstract and more real. In Professor Hill, I have a peer who has clear insights on issues of the day, yet is struggling with many of the same issues as I am, so it is easy to place myself within the the "conversation" going on between them. While not exhaustive on any given topic, the text serves as a viable appetizer for further satiation of the appetite for knowledge, and insight into where Black people have been in this country and where they need to go. There is a chapter on love in the book that is particularly poignant and instructive because the authors go beyond talking about the love that we have for self, or even our families, but of humanity. If one can develop this kind of love, then they can become an agent for liberation. The authors note how Martin Luther King, Jr laid down his life marching with garbage workers in Memphis. That was out of love for people and humanity. Throughout the book I found myself asking the authors to say more about the complexities of identity for Black people today and how that can help or hinder relationships, but then when I read Abu-Jamal's comments about the revolutionary powers of an all-inclusive love, in a manner similar to the way Paulo Freire described it, I realized that while the complexities and nuance exist, we don't have to get lost in them. I salute the authors for their honesty and efforts and hope that folks will support this book so they too might have conversations with peers like the ones that used to take place at Ms. J's. I will move forward reassured that love is a starting place answer many of the questions that I am pondering and it will also sustain me as I try to work towards a socially just society. I was both happy and relieved to see that Think Like A Man, the most hyped Black movie in recent memory made it to the top of the box office not only on it's opening weekend, but also on the equally important second weekend. I was relieved because had this movie flopped given the amount of marketing dollars spent on it, it would be easy for pundits and haters to say that there is no real market for films featuring an all majority Black cast or that stars like Oscar-nominated Taraji P. Henson and Kevin Hart cannot carry a movie. I was happy because Kevin Hart, a dude I've known since he was 10 (RIP Ms Nancy), got to show out in a way that made comedians like Chris Tucker and Martin Lawrence box office headliners. I was also happy that producer Will Packer of Rainforest Films can add another No. 1 hot to his production resume (Takers, Stomp The Yard) as can director Tim Story (Fantastic Four x2, Barbershop). With over 60 million in box office sales after two weekends, Rainforest is producing for distributor Screen Gems in a manner similar to how Tyler Perry films draw for Lions Gate, and this will hopefully lead to additional opportunities for minority producers moving forward. It's a fairly recent phenomenon (as in the start of the Oughts) that movies featuring Black characters have also been produced by other Blacks. Box office draws like Ice Cube (Barbershop) , Eddie Murphy (Nutty Professor II), Will Smith (Pursuit of Happyness), and Queen Latifah (Bringing Down the House) have parlayed on-screen success into production roles. Smith, Cube, and Latifah run companies dedicated to producing films told from a minority perspective. The more people that there are who are able to bring projects together, the more likely it is that people will be able to find something on the big screen that they feel connected to. Think Like A Man has been critiqued for among other things it's nod to patriarchy, but the key is that it exists to be critiqued just like any Tyler Perry, Ice Cube, or Will Smith flick. The art can only get better the more that it gets made and supported. Hopefully this continued domestic success will not only lead to larger producing opportunities, but also support internationally.